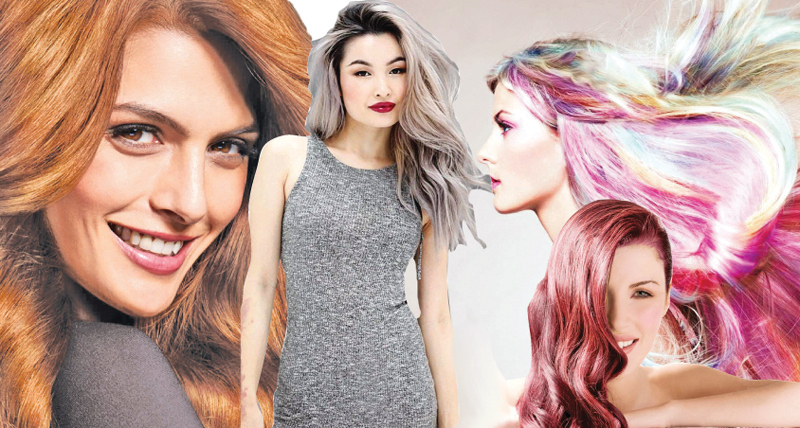 A leading lifestyle magazine has come out with a list of hair colours that will be super trendy in 2019 and we love each one of them. Actors including Deepika Padukone, Priyanka Chopra and Kangana Ranaut have rocked the look several times with these hues.There are few colours in the list that our Asian skin will just absolutely love. Warm chestnut brown with the flicker of gold will look super gorgeous on the Indian skin. If you have brown hair, then go for highlights with brown over layered with gold. If your hair base is not brown then we recommend a full chestnut brown crown with gold highlights. Blonde has always been a popular hair colour but baby blonde combined with warm browns will do wonders together. Make sure that your stylist does not lean towards the icy blond look, it will not look good. You can go for the global look if you are in a mood for a total blonde look. Or combine this with a golden overtone. For a more natural looking effect strike a balance then the colour is well balanced. This combination goes well with both black and brown hair. We love this pair because the fiery spike it adds to the dull browns and blacks. Brown is one of the safest colours for Indian hair. It is safe and easy to manage. Copper adds to the glow as well. Go for a full chocolate brown with copper highlights or you can alternate with copper highlights with shades of browns. We love this shade of blonde for the Indian women. This is the coolest of blonde colours for the dusky skin tone. Infuse with strawberry red to get a stunning colour to your hair. For natural highlighting, couple this with the dusty red blonde and you are good to go and will receive many compliments. It does fall under the category of unnatural shades but if you want to go bold then opt for this colour of the season. We recommend using light highlights of this shade. Ash is the way to go if you want the platinum look without it getting too shiny. For natural dark hair, let it be dark on the roots and light on the tips. This will give a moody look to the hair and it will grow out dark so you won’t have to worry about retouching too often. There is no other option to lighten dark hair before using new hair colour, therefore spread your styling in multiple sessions. Everything in one go will cause damage to the hair.